20 ANIMALS, some TROPHYS, shared by 2 hunters, Package price includes both hunters with 1 PH, 5 hunt days, 6 nights. Black Wildebeest bulls, Red Lechwe bulls and more...!! 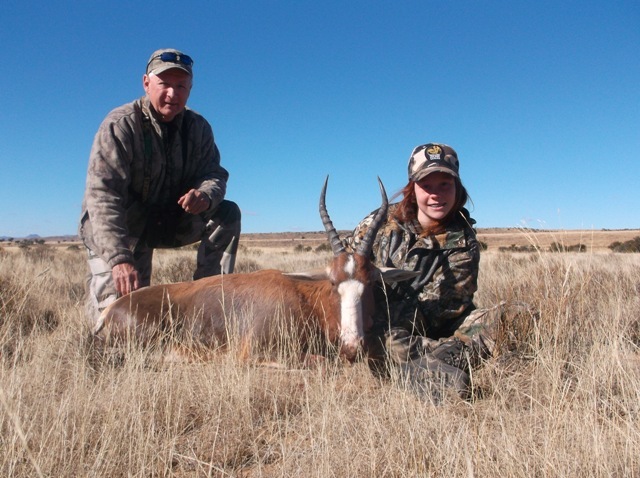 Trophy game and more non trophy game may also be hunted per price list on this hunt. Any additional non trophy game wanted must be pre booked and paid for in advance. Non trophy game species are subject to availability at the time. A reminder that any animal not exported out of South Africa 15 % VAT tax must be charged onto the animals fees, and onto any Trophy's fees and not exported. Exporting even just one part or some of the animals you hunt will mean no VAT tax needs to be charged. 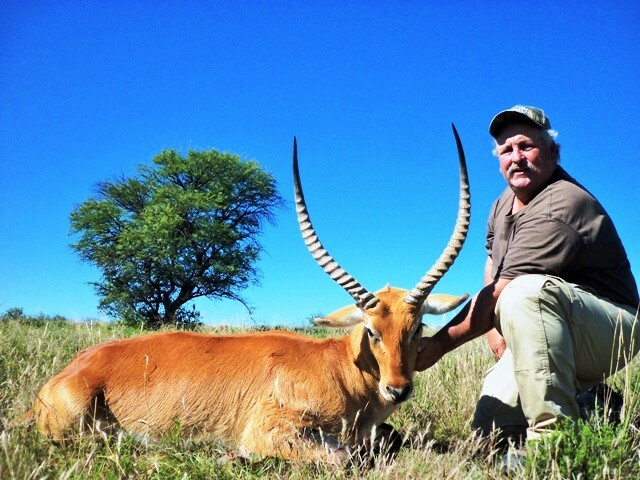 Hunt the Eastern Cape of South Africa with Richard Holmes Safaris for the above listed non trophy animals. Our plains game Safaris take place on huge private ranches ranging in size from 8000 - 22,000 acres. There are no interior fences on our ranch and few fences on our other private hunting plains game ranches, and all hunting is done by spot and stalk, so it is real open fair chase hunting – please ask our references. 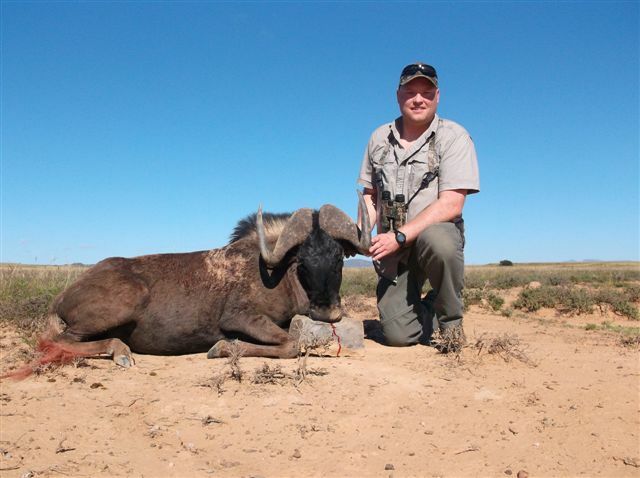 This hunt is all inclusive from Port Elizabeth ( PE ) South Africa - one trip in one truck for pick up and drop off in Port Elizabeth. VAT tax on discounted daily rate portion of package. 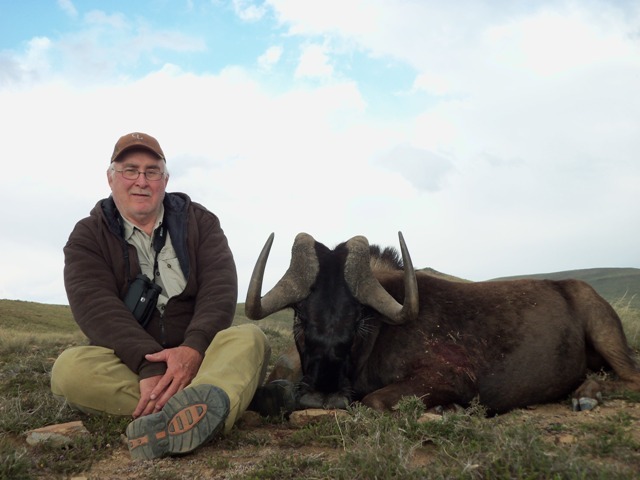 Taxidermy fees, trophy transportation/dipping/packing/ ( raw prep )/shipping after the safari. One pre-safari night, if needed, in Johannesburg at the buyer’s expense, due to most flights arriving late in Joberg, Cost is approximately $120 per room at Afton Safari lodge, 5 minutes from Joberg airport, which is a great meet and greet, a good rest after a long flight, excellent help with gun permits, bags, check in etc. Please see website for full price list which also has additional terms i.e. cancellation etc. and All the relevant prices for the year in which the safari takes place are payable, eg. annual price increases and penalties if postponing your safari. No discount if you don't stay for the full safari time. Richard Holmes Safaris cannot be held responsible for any misprints on any incorrect advertising of the details (free animals, days, numbers of hunters, etc.) of this package other than what is stated on this form, at any auction, on any web site or any brochure by the organization accepting this package or by the buyer of this package.